My first visit to the Atlanta Fox Theatre was actually years before I would call Atlanta itself home. 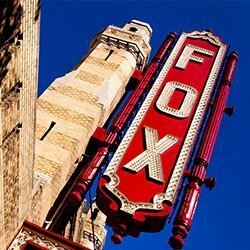 I grew up in a small town well south of Atlanta but one cold December in high school, we went on a field trip to see a production of Cats at the Fox. 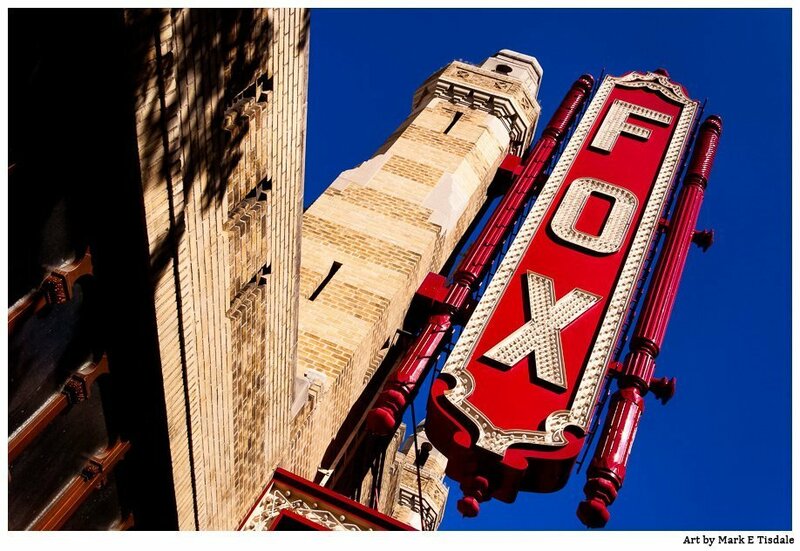 At the time I didn’t know much about the history of the Fabulous Fox, that icon on Peachtree Street. 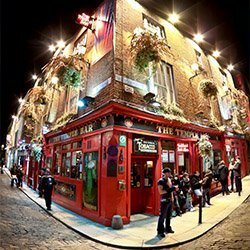 But I do remember being mesmerized by the eccentric architecture. 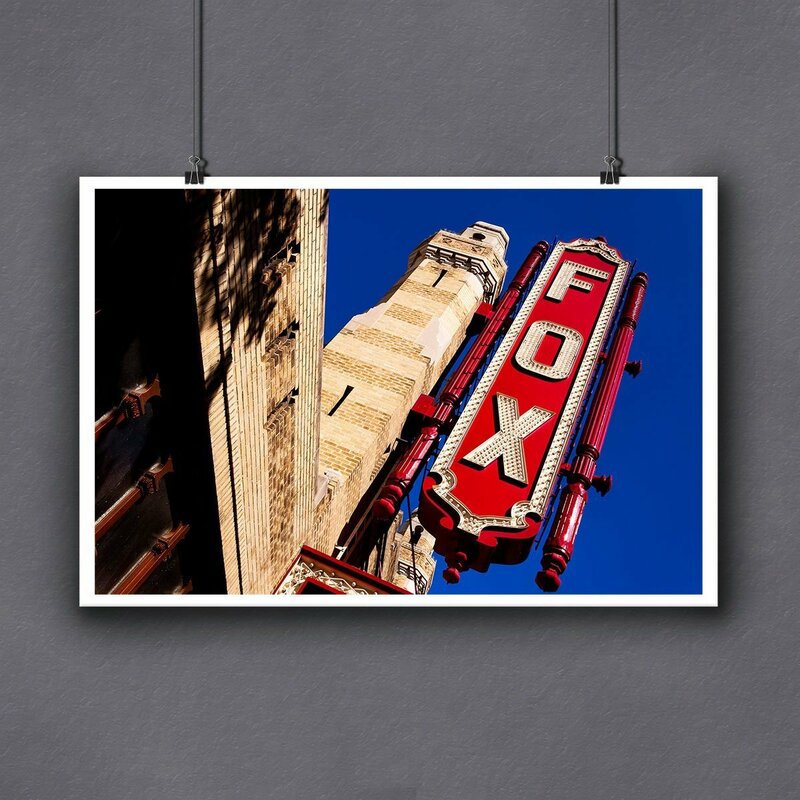 The Atlanta Fox Theatre was built in an era of over the top grand movie palaces and it still retains all its old technicolor charm. Flash forward some years after college and I called Atlanta home, but at the same time I had been bitten by the bug to travel and a love for photography. 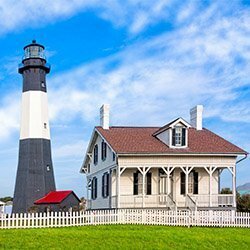 I don’t remember what led to the epiphany that I was traveling to faraway places to take pictures of their landmarks when Atlanta surely had its share of local landmarks. It sounds so obvious now but then it was one of those moments where the clouds part and the sun shines in and there’s a wonderful dramatic soundtrack! Although I did do some research to choose places to explore in the area, the Atlanta Fox Theatre was one local landmark that was on my list to photograph from day one. 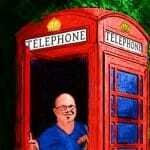 And it’s been a frequent subject of my art every since. It’s a gorgeous Atlanta landmark and one I think many of us are conscious that we are lucky to still have. And this particular view of the big Fox sign over the marquee at the Atlanta Fox Theatre has been my best selling Atlanta prints every since. There’s something about that fun angle that, I think, captures the whimsy of the Fox. And maybe perhaps it reminds other visitors of the Fox of standing outside waiting to see their own first show in that grand old lady on Peachtree Street. 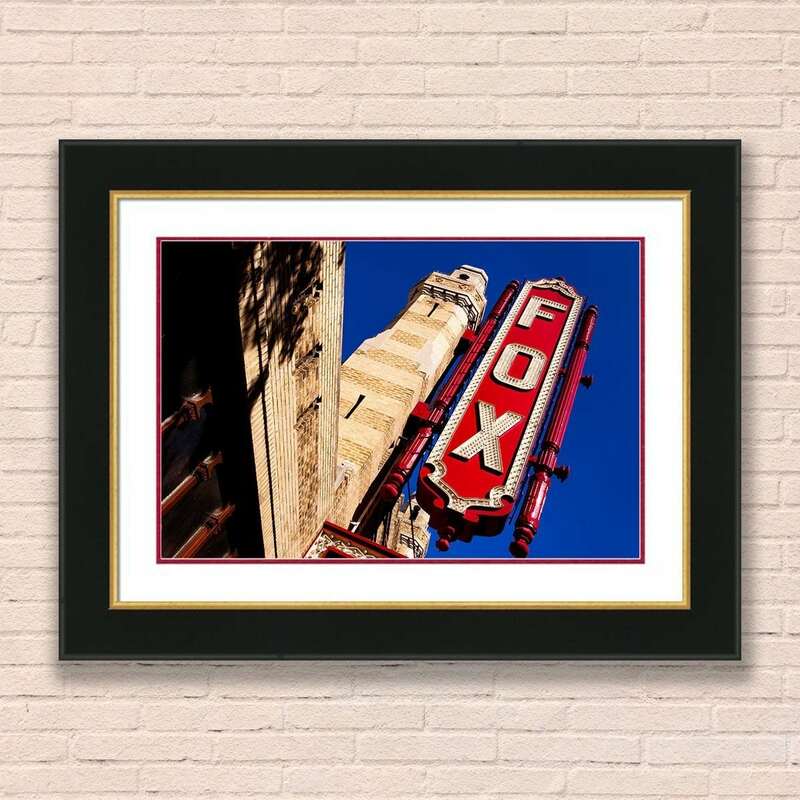 Even though this Atlanta landmark art print has been one of my best selling prints, it hasn’t stopped me from revisiting the Fox Theatre in my artwork since. 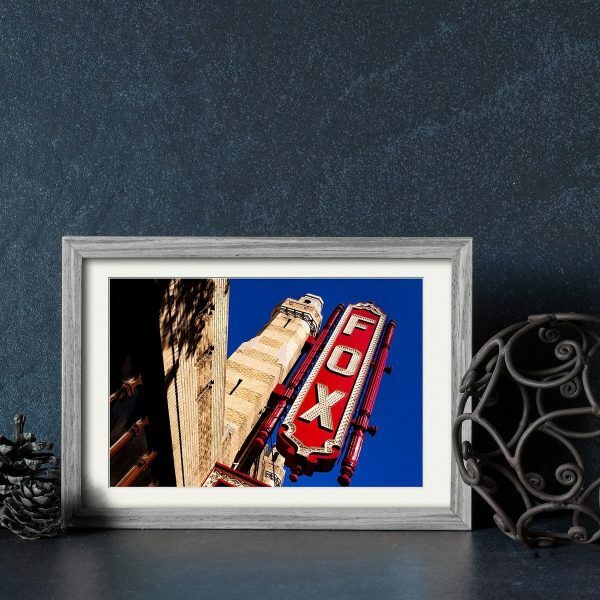 I have a variety of artwork featuring my favorite Atlanta landmark. If you’re interested, you can see more of my Fabulous Fox prints here.